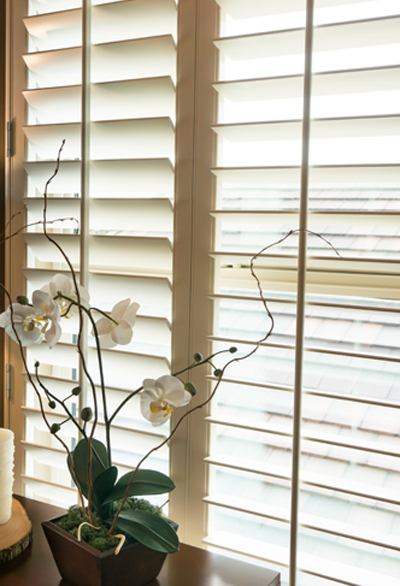 Lanco Shutters distributes first quality Custom Plantation Shutters to suit the most discerning customer. For more than Twenty (20) years Lanco shutters have graced the windows of thousands of satisfied customers throughout North America. Lanco's manufacturing process combines expert craftsmanship with the latest in milling and finishing technology for an exceptional and long lasting finish. Lanco shutters combine quality and affordability, while offering a complete range of design solutions for any contemporary or traditional application. At Lanco Shutters we pride ourselves as being among the leaders in the industry in fast and on-time delivery of custom shutters. Lanco offers by far the best value in Custom Plantation Shutters, with the fastest, most reliable delivery in the shutter industry, excellent customer service and technical support. Lanco Shutters distributes first quality Custom Plantation Shutters to suit the most discerning customers. For more than twenty years Lanco Shutters has graced the windows of thousands of satisfied customers throughout North America.